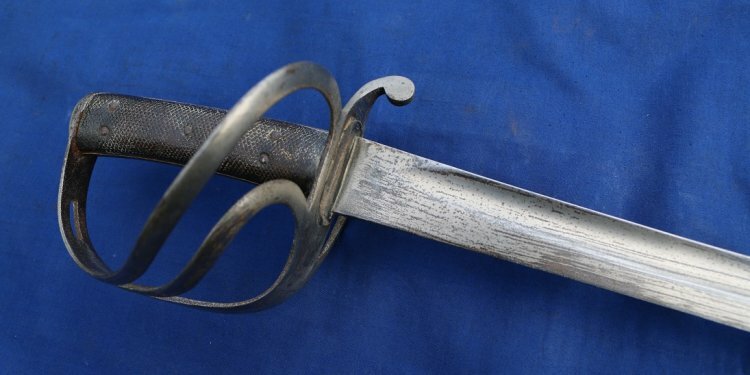 The rare 16th century Scottish Highland two-hand sword or claymore which took £200, 000 from a private buyer at Thomas Del Mar Ltd on December 12. Only very few such finely crafted 16th century swords survive, those that remain are displayed in ancestral collections or museums such as the National Museum of Scotland and British Museum. The sort of weapon used to see off the English raiders in border battles, it is similar to those carved on tombs of the chieftains of the McLeod clan at their Dunvegan seat on the Isle of Skye. Despite some later restoration to the grip, its rarity meant that there was bound to be keen interest when it was included in the property to be sold from Warwick Castle to benefit the Great Hall armour display. Thomas Del Mar Ltd, who hold sales in association with Sotheby's at Olympia, offered the sword as part of their December 12 Antique Arms, Armour and Militaria sale with an estimate of £50, 000-80, 000. With four parties interested, bidding rose quickly, leading to a three-way battle between two phones and a bidder in the room up to the £100, 000 mark. From then on it was down to the two phones, the successful private buyer finally securing the sword at £200, 000 plus 20 per cent premium, a record for a Scottish sword, the previous record standing at £24, 000. It also sets a new record for a 16th century sword, going over four times the £48, 000 taken in 2001 for a German 'hand a half' example.